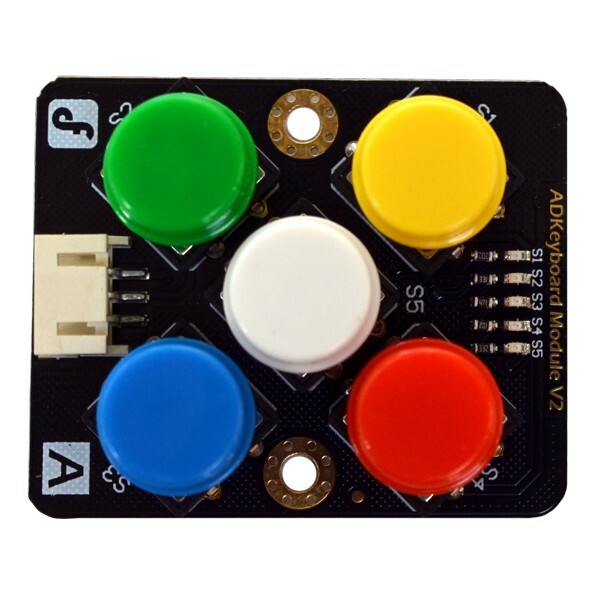 The ADKeyboard is a five button keypad module with a single analog voltage output. 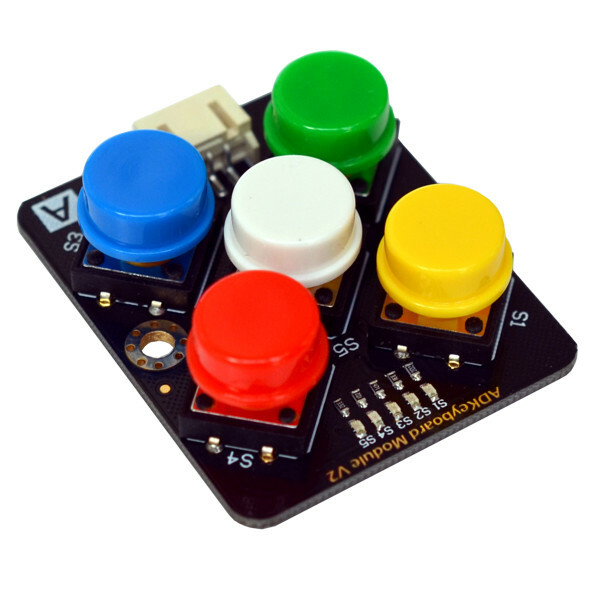 The ADKeyboard Module saves on valuable I/O resources by providing 5 buttons that are read using just one of your microcontroller's analog inputs. 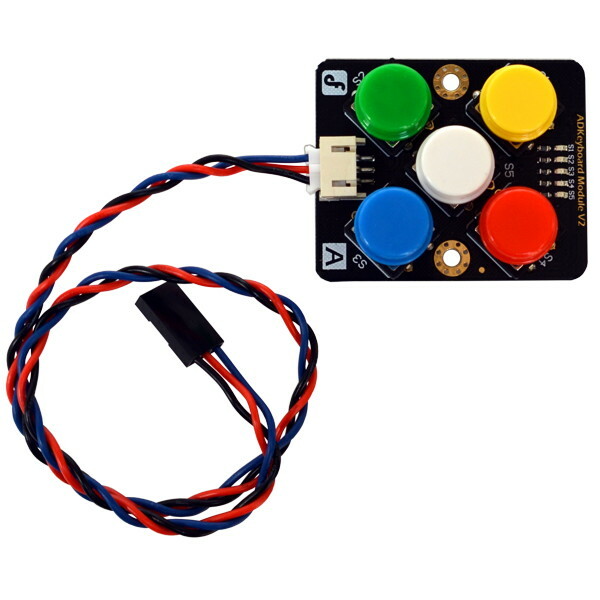 It does this by using a built in Digital to Analog circuit that generates a different voltage level for each key press.